China Rare Earth Magnet Limited founded in 1985, is a leading manufacturer and supplier of neodymium magnets and other types of permanent magnets in China. 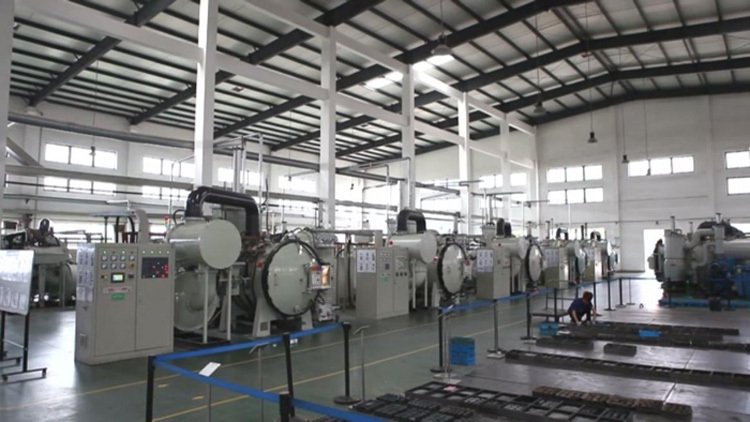 Our company has been involved in production, research, development and creation of rare earth magnets over 30 years. With years of continuous development and improvement, our company covers an area of 39,000 square meters with the annual output up to 3,000 tons. We have a high-quality, professional and united team, consisting of 25 engineers of Dr. or master degree, 58 technical personnel of university degree and more than 550 well trained workers. China Rare Earth Magnet Limited has developed a wide range of permanent magnetic materials include neodymium magnets (NdFeB), Alnico magnets, Samarium Cobalt magnets (SmCo), ferrite magnets (ceramic magnets), magnetic assembly and some other related products. Our magnets are mainly custom made according to the demands, requirements and application of the customers. A variety of magnets can be customized of different material, grade, coating, shape, dimension, magnetization direction, quantity, etc. We can provide magnets in various producible shapes like disc, ring, rectangle, cube, bar, cylinder, tile, segment, sphere and some other unique shapes. Furthermore, we've already successfully mass produced permanent magnets of highest performance grades N52, N50M, N48H, N45SH, N40UH, N38EH and N35AH. Our production and business are strictly performed in accordance with our national policies and regulations as well as universal international standards. We have already got ISO 9001:2008 & ISO14001:2004 certificates approved. Our magnets conform to the requirements of CE, RoHS, SGS and Reach directive. China Rare Earth Magnet Limited as a major NdFeB magnets manufacturer always keeps creating high-quality cost-effective magnet products as well as best service to all of our clients. Your contact, enquiry and comments are always welcomed. Room 705-707, Ruisi Center, No.9030 Shennan Rd., Nanshan District, Shenzhen, China.